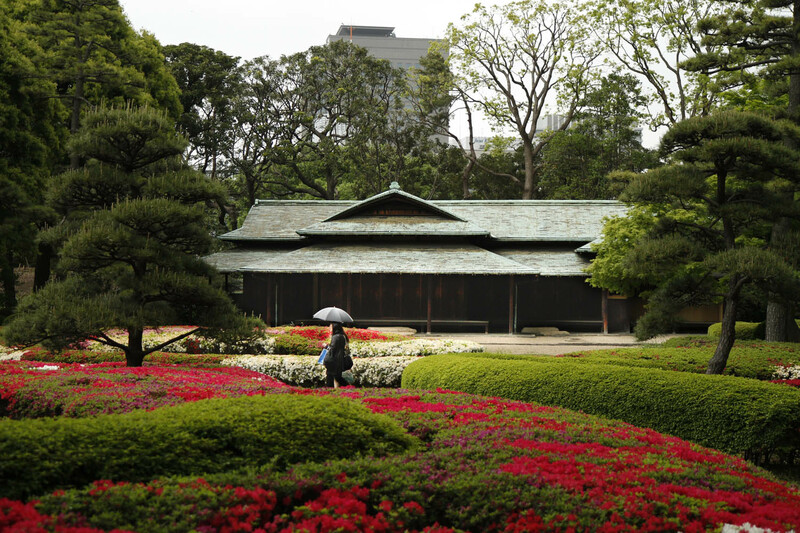 I visited the Imperial Gardens in central Tokyo on a rainy day last week. 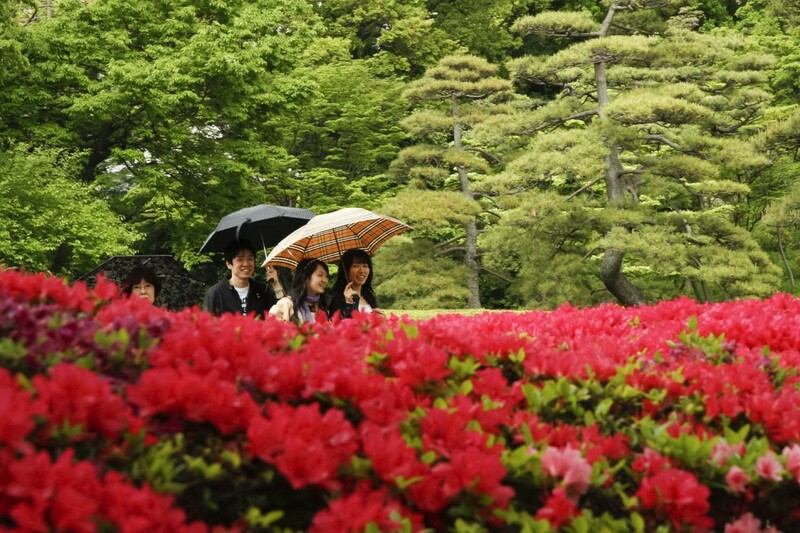 Despite the rain, people enjoyed the blooming flowers in the gardens. This building is a teahouse that can be used for traditional Japanese tea ceremonies. A couple works to untangle a necklace in the gardens.